The ferries that ply the river west of Sydney Harbour bear the names of Australia’s world champion sportswomen. They include the Olympic swimming gold-medalists Dawn Fraser and Shane Gould, and runners Betty Cuthbert and Majorie Jackson. As you board, there is a photograph of the athlete in her prime, and a record of her achievements. This is vintage Australia. Often shy and never rich, sporting heroes were nourished by a society that, long before most other countries, won victories for ordinary people: the first 35-hour working week, child benefits, pensions, secret ballots and, with New Zealand, the vote for women. By the 1960s, Australians had the most equitable spread of personal income in the world. In modern-day corporate Australia, this is long forgotten. “We are the chosen ones,” sang a choir promoting the 2000 Sydney Olympics. One of the ferries is named after Evonne Goolagong, the tennis star who won Wimbledon in 1971 and 1980. She is Aboriginal, like Cathy Freeman, who won a gold medal in the 400 metres at Sydney. For all their talent, both belong to a carefully constructed façade, behind which Australia’s secret indigenous history is suppressed and denied. Wally MacArthur was one of the “stolen generation”. The victim of a eugenics-inspired campaign to “breed out the black”, Wally was taken from his mother as a small boy and was destined to become a servant in white society. His gift was speed. Running without shoes, he was the Usain Bolt of his day. Wally was never selected in a state or national team. Eddie Gilbert’s story is similar. A dazzling fast bowler, he was given special permission to play outside his Queensland “reserve” and took five wickets for 65 runs against the West Indies. He later faced Donald Bradman, the world’s greatest batsman, and bowled him for a duck. Thereafter, the secretary of the Queensland Cricket Association wrote to the Protector of Aborigines: “The matter of Eddie Gilbert has been fully discussed by my executive committee and it was decided, with your concurrence, to return Gilbert to the settlement.” The letter noted that his cricketing whites “should be laundered and returned”. Eddie was committed to an asylum where he was mistreated, and died. On the day Damien Hooper was forced to apologise, Australian swimmer Nick D’Arcy failed to make the final of the 200 metres butterfly. Few in the crowd were aware that this “chosen one” was a convicted thug who smashed the face of fellow swimmer Simon Cowley in an unprovoked assault in 2008. Ordered to pay his victim A$180,000 in damages, D’Arcy declared himself bankrupt and paid not a cent, nor showed any remorse. 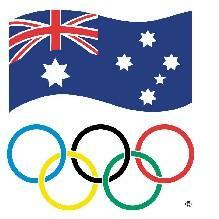 Yet, the Australian swimming authorities duly lifted his ban and allowed him to compete in London. After all, said a Liberal MP, ” Nick has paid a terrible price for his indiscretions”. Josh Booth rowed in Australia’s eight that came last in the final. To a Chosen One, last is unacceptable, so Booth went on a rampage in Egham in Surrey, smashing windows. He later described it as an “emotional outburst”. The Sydney Morning Herald shed a tear for “the pain of a young man who lost in an event that comes along every four years”. Unlike those original Australians forced to defend their basic human rights and apologise for their distinctiveness, both D’Arcy and Booth have enjoyed every advantage and privilege. Their “indiscretions” and victimhood are accompanied by a sense of entitlement that has shredded the national myth of “fair go”, not to mention an Olympic prowess of which we all were once proud.